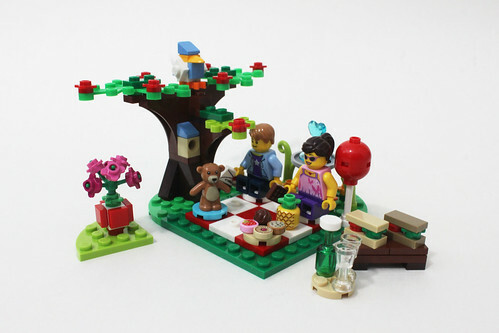 For my first review of the year, I have the new LEGO Seasonal Romantic Valentine Picnic (40236) . 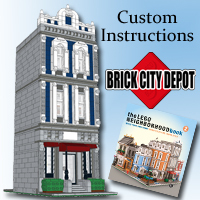 This year’s Seasonal sets goes back to the vignette style sets that were more popular than the character builds from last year. 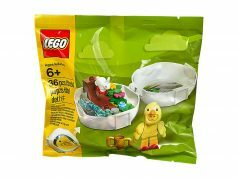 The set contains 126 pieces and retails for $9.99. 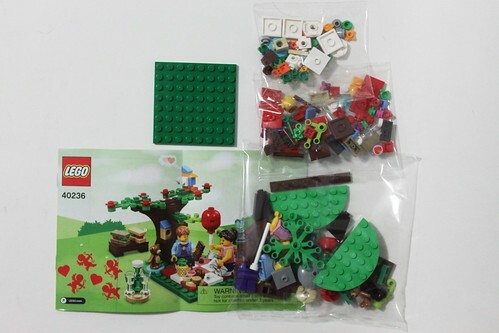 The contents of the box include three un-numbered bags, an 8×8 green plate, and the instructions. 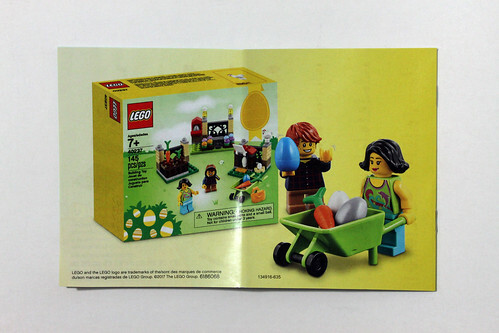 The back of the instructions show the next LEGO Seasonal set with the Easter Egg Hunt (40237). 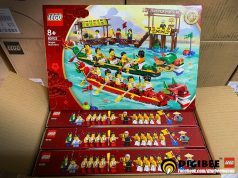 There are two minifigures in the set, a boy and a girl. 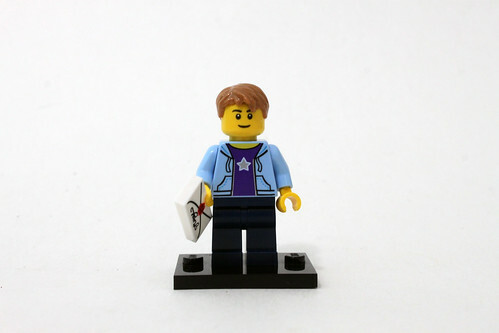 The boy has a light blue hoodie and a purple shirt with a star in the middle. 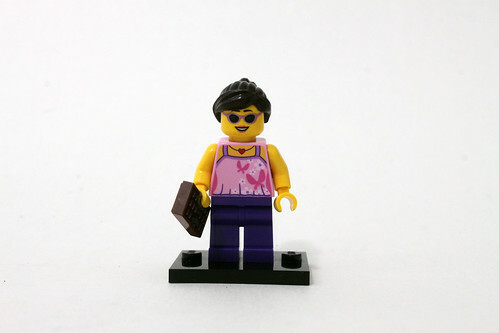 This torso is pretty rare as it is in only one other set which is the Fun in the Park (60134). 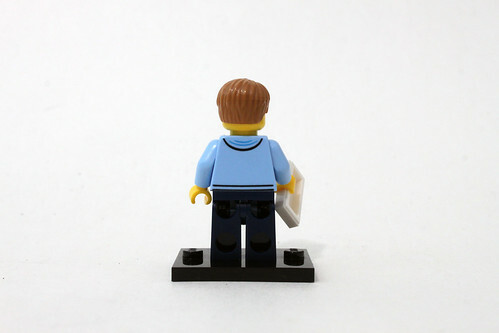 The rest of the minifigure is pretty common. His accessory is a love letter. The girl minifigure has on a pink blouse with some butterflies on it. This particular torso is also pretty rare as it has been in two previous sets. She does have a double-sided head with a happy expression on one side and a happier one with sunglasses. Her accessory is a 1×4 printed tile of some chocolates. 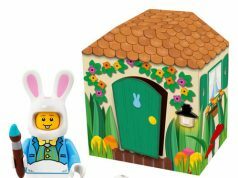 Although LEGO went back to the vignette style sets this year with the Seasonal sets, it’s not the same type of vignettes we got in 2015. 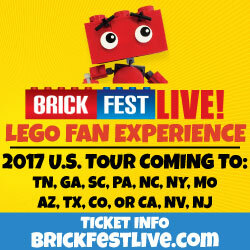 For this year, the overall build is actually separated into smaller builds. The first part is a little fountain that uses a green 4×8 half circle plate as the base. 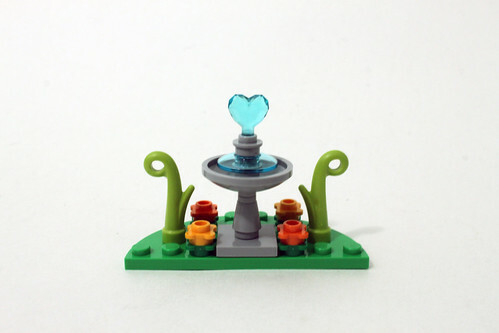 The fountain centerpiece is a trans-light blue heart. 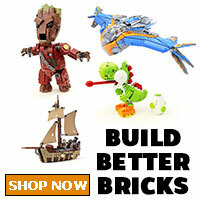 The next few parts of the build are pretty small. 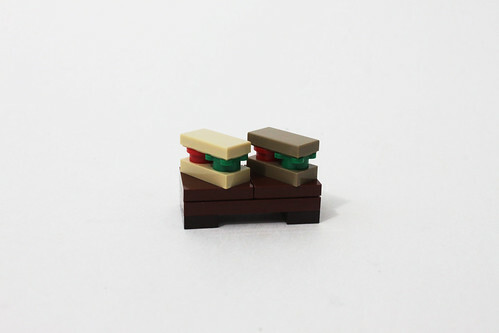 The first is a table with two sandwiches. I presume the darker one is wheat bread. 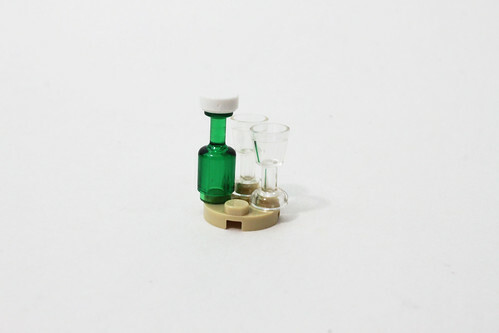 There’s also a 2×2 round plate with a bottle and some glasses. Finally, there’s a red flower box with a plant that has pink and magenta flower petals on a lime-green quarter circle plate. 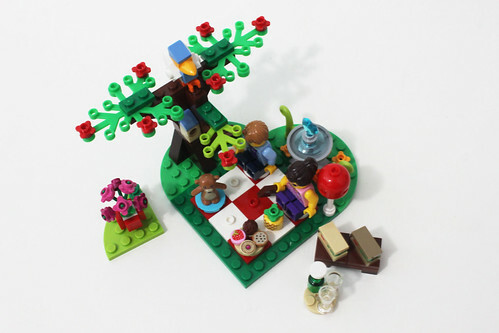 The main part of the Romantic Valentine Picnic (40236) is the actual picnic area which is on the green 8×8 plate. There are 2×2 red and white jumper plates that are used to create the blanket on the ground. 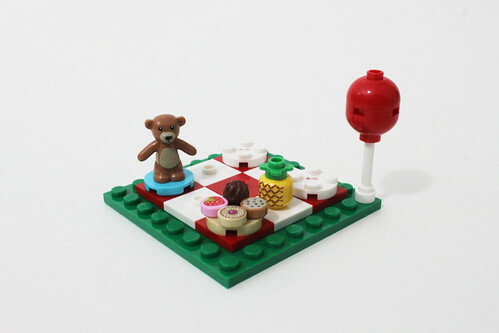 There are a lot of little accessories that you can place on the jumper plates including a teddy bear, printed 1×1 printed round tiles of cookies and pastries, and a pineapple. On the corner of the plate is a red balloon. 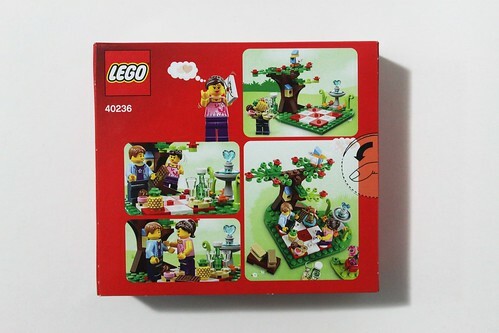 The final part of the build is just a tree on a half circle plate. The tree has some green foilage with red flowers throughout. 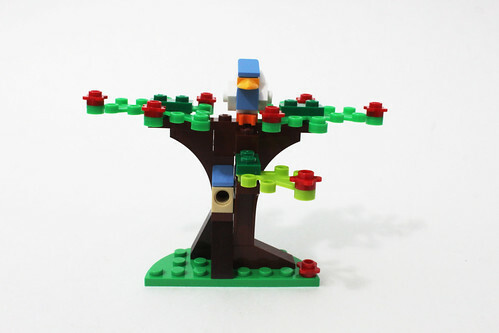 There’s also a little treehouse in the middle while the bird is perched on top of the tree. When combining everything together, you can see the whole becomes a heart. 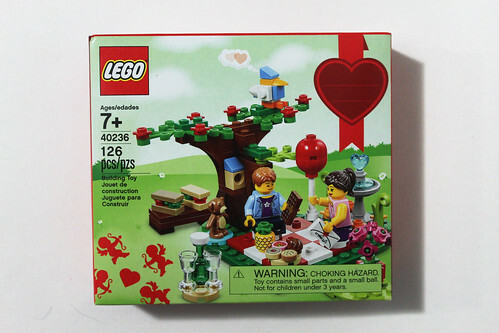 Overall, the LEGO Seasonal Romantic Valentine Picnic (40236) is a cute little set that makes the return of the vignette type sets from a few years ago. Although I wished everything was just one since build and not separate little ones, I do like it still especially everything coming together to form the heart. 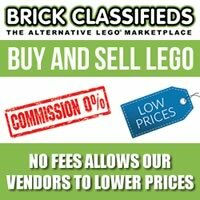 Like I said before, it is now available in LEGO Stores and on [email protected] for $9.99 but if you decide to wait until after Valentine’s Day, you can get it for half off.